It’s hard to make a decision. Today I stood in a greenhouse gazing at hundreds of pansies in every color imaginable. Matrix Yellow Purple Wing won out for this year. 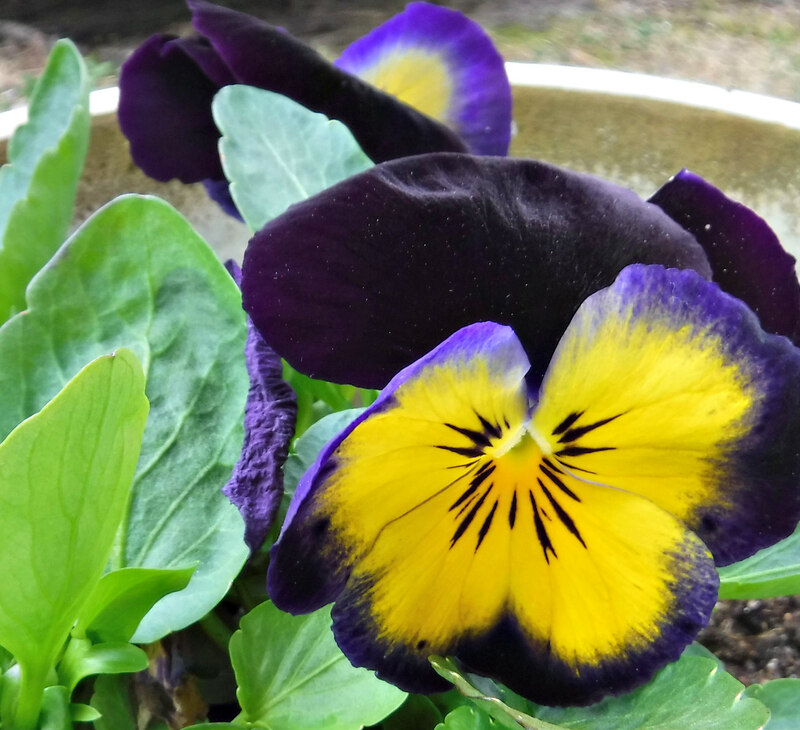 I love the contrast of deep purple and yellow, and as always, feel drawn to the flowers that resemble the face of a cat. There is no other plant that better captures in flower form my feelings of spring. Oh! Good clear photos…will use them when I color my paper pansies. The purple petals look just like velvet. Pansys have such a short life in Florida, that I didn’t grow them. This past fall, a friend gave several plants and I enjoyed them. Definitely will be growing them again. The pictures are nice and clear. Thanks so much. Mine usually make it until the high heat of summer. They fill me with Spring Joy! Such a rich colour. So vivid and lush! No wonder you picked them. Thanks for joining in with Friendly Friday Photo Challenge. Hope you will join in again. I hope to take part again. Thanks for hosting. No worries. I love discovering new blogs via the participants. Thanks, I love discovering new blogs through the challenges too and the comments that others leave. The comments are what makes a blogging community! Writing is fun and for me, therapeutic but the comments add another dimension of friendship and information. Pansies are so beautiful!!!! and those photos are also beautiful! 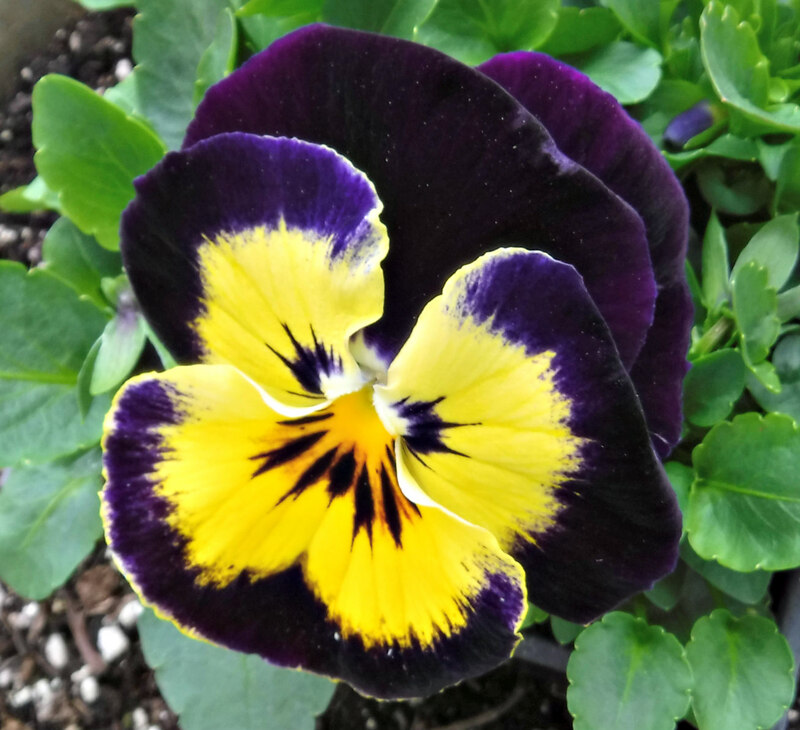 Thanks…my Spring wouldn’t be complete without some pansies and Johnny Jump Ups. The combination of purple with yellow- gives one inspiration for a dress color. 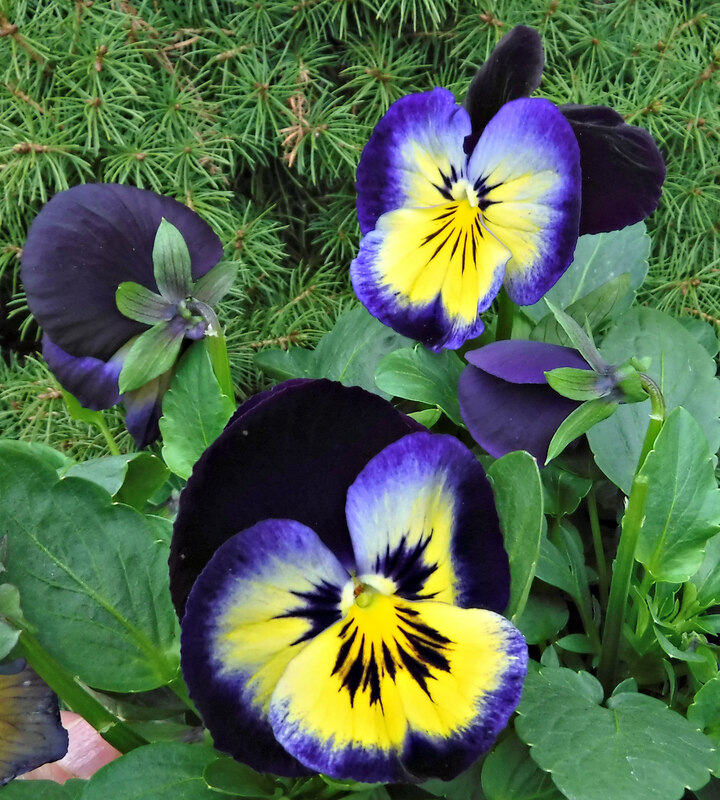 What beautiful colours- do pansies actually look like cat faces?